All the firearms on this page will require either a Shotgun Certificate or a Firearms Certificate. 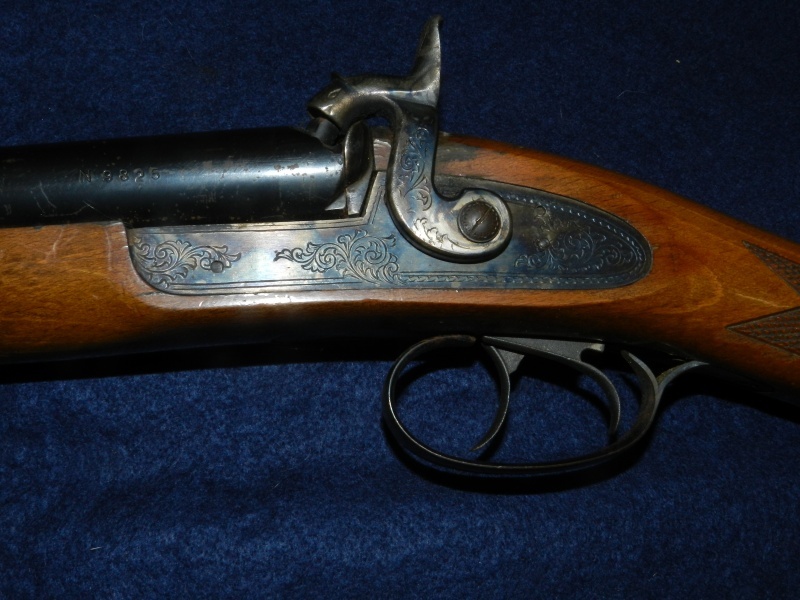 Older muzzle loading weapons may also be found on the Antiques and Obsolete Calibre page. 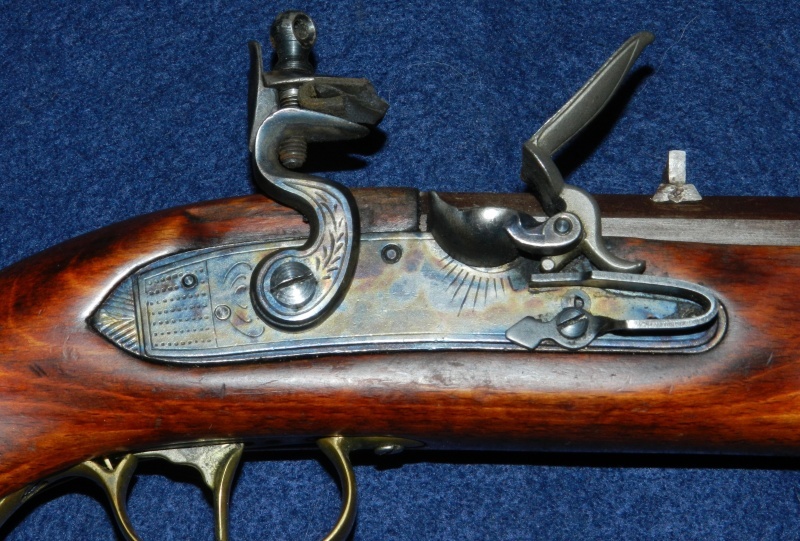 A good quality and well finished reproduction of the Brown Bess flintlock musket. 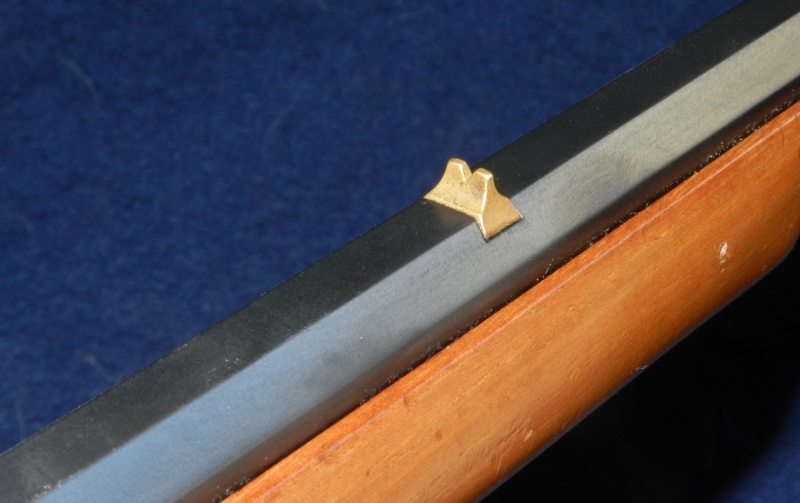 Walnut stock, and brass furniture. 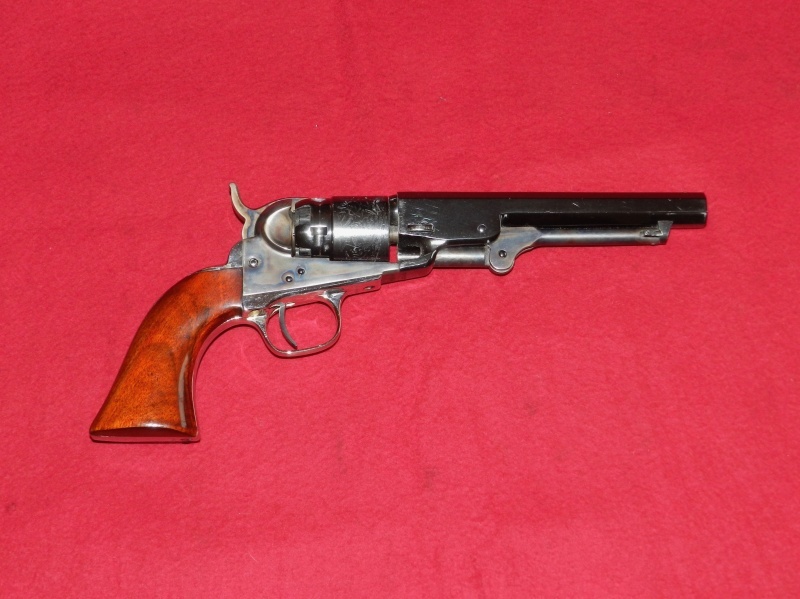 42" barrel and an overall length of 58". In good used condition and sparking well. These are over £1200 new. 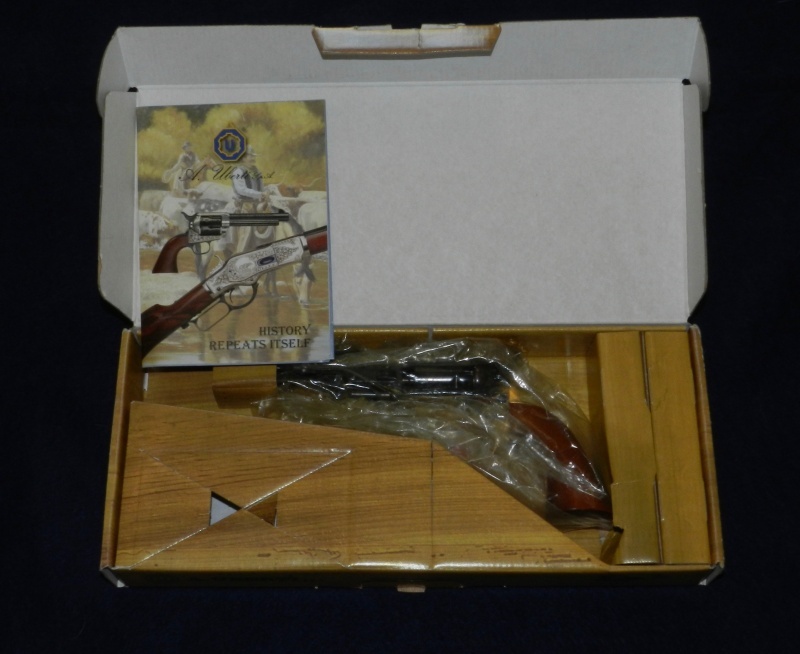 Produced from 1994 to 2002 thee 3rd Generation Colts all have the signature of Samuel Colt engraved into the back strap - hence they are also know as the "signature series". 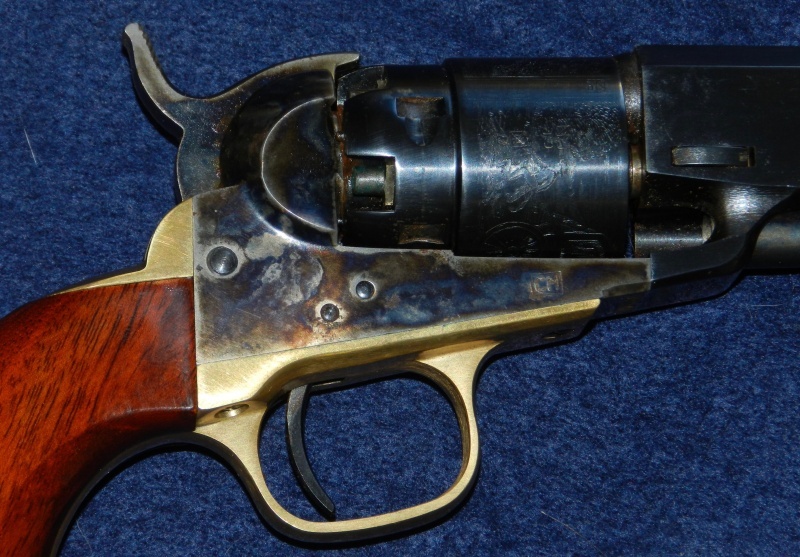 They are regarded as genuine Colts and were manufactured under an authorised licensing agreement with Colt Firearms by Colt Blackpowder Arms Company. They are exceptionally well finished using proprietary Colt formulas for bluing and colour case hardening. 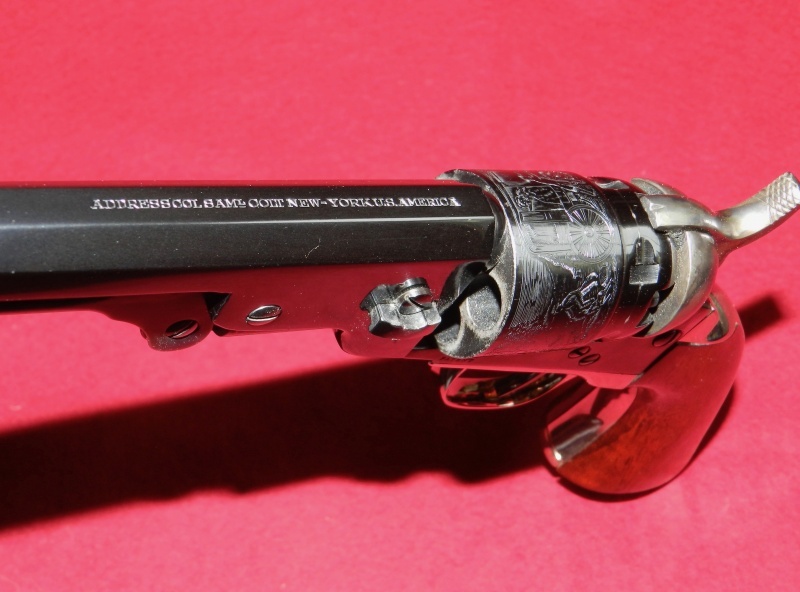 All the markings and engravings are the same as the 1st Generation or original Colt models. 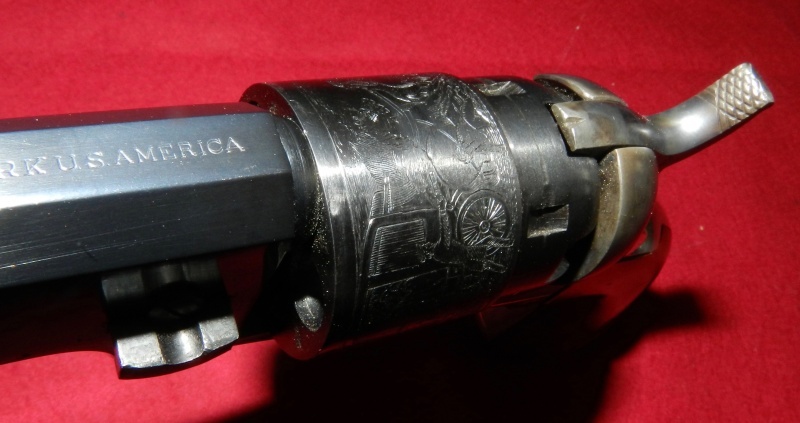 This example has a discrete London Proof House mark on the underside of the barrel. 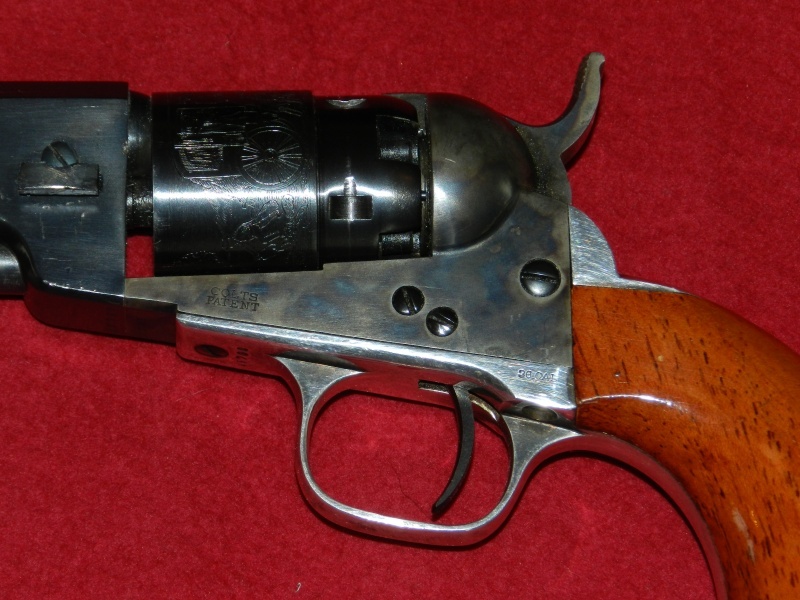 Rare in the Uk, and collectable everywhere, this revolver comes with the original factory leaflet. 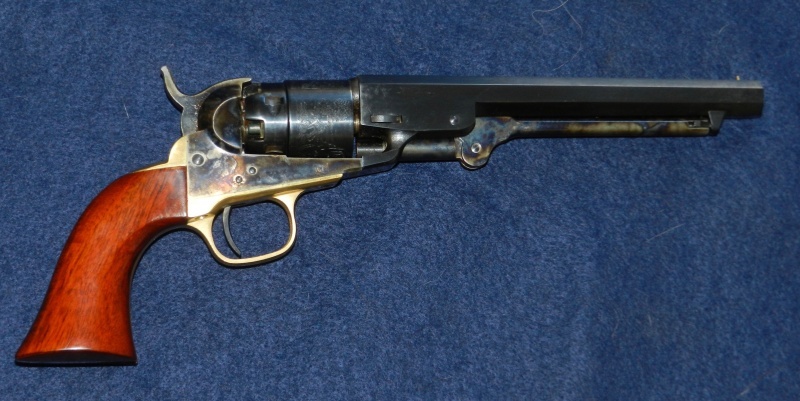 Genuine Colt 2nd Generation 1862 Navy .36"
The 2nd Generation Colts were made by Colt in the 1970s. They are the best shooting of all the Colts and are regarded experts, including Colt themselves, as being genuine Colts. The rough castings for the large components were ordered by Colt from Italy. 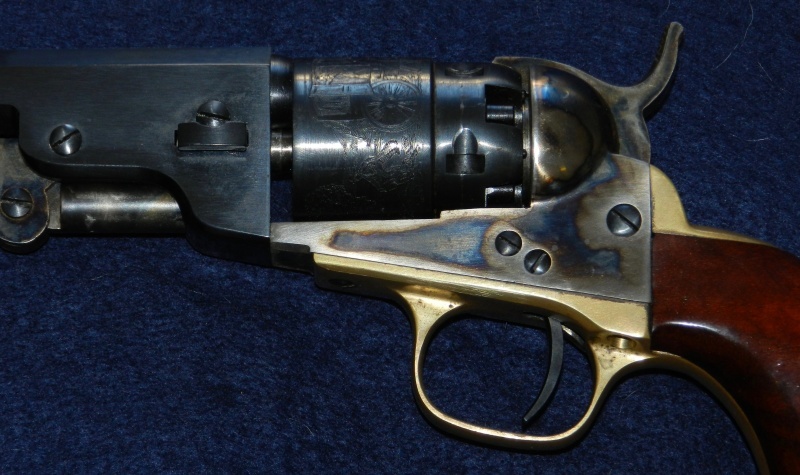 The components were then machined, assembled and finished by Colt in their factory in Connecticut. 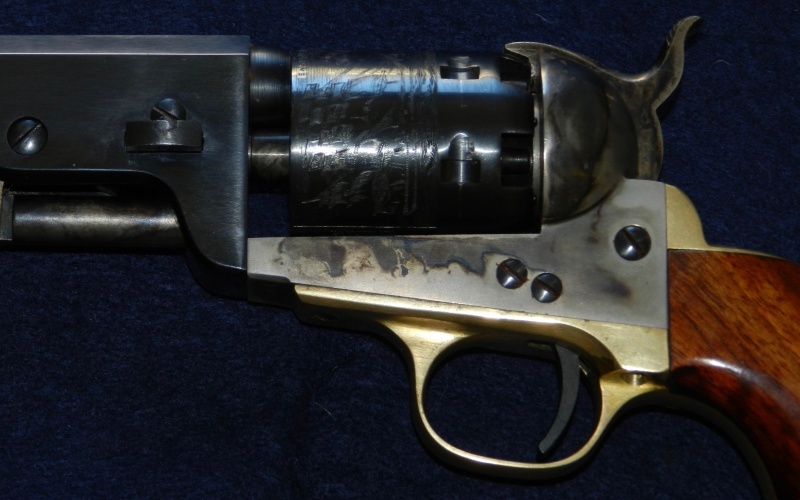 The revolvers are stamped and engraved as per the originals; Address SamL Colt- New York US America on the barrel top and a stage coach scene on the cylinder. The bottom barrel flat has the proof marks from Birmingham. The Ubertis and other can work very well, but this revolver has a very different feel, and is clearly superior. They are rare guns in the UK. 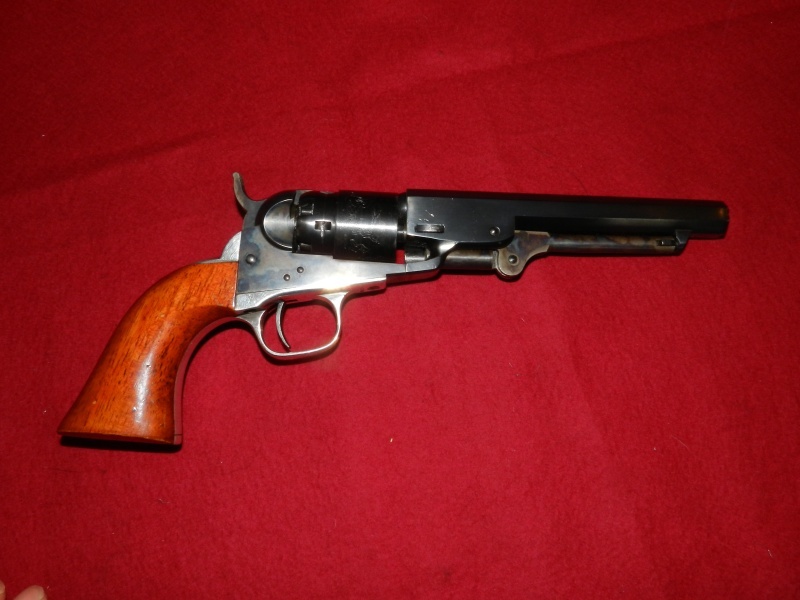 Uberti Colt 1849 Pocket .31"
Uberti Colt 1851 Navy .36"
A 12 bore side by side 12 bore percussion shotgun by Navy Arms. A tidy example with the colour hardening finish still showing well on the engraved locks. The 28 1/2" barrels have good bores. The stock has a reach of just over 14 1/2". Great fun and just the job when it is just too wet to take the old Manton out! A good quality rifle from Pedersoli. 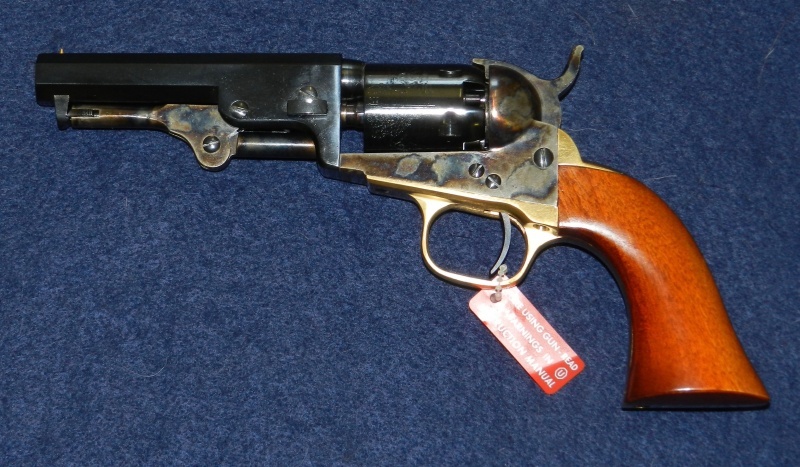 This Kentucky has a .45" rifled barrel and the rifling is in good condition. The full length stock is also in good shape - it has a few marks and minor scratched from normal use, but gives every indication of having been looked after by it's previous owner. The barrel is 35". It has brass furniture and a brass patch box. 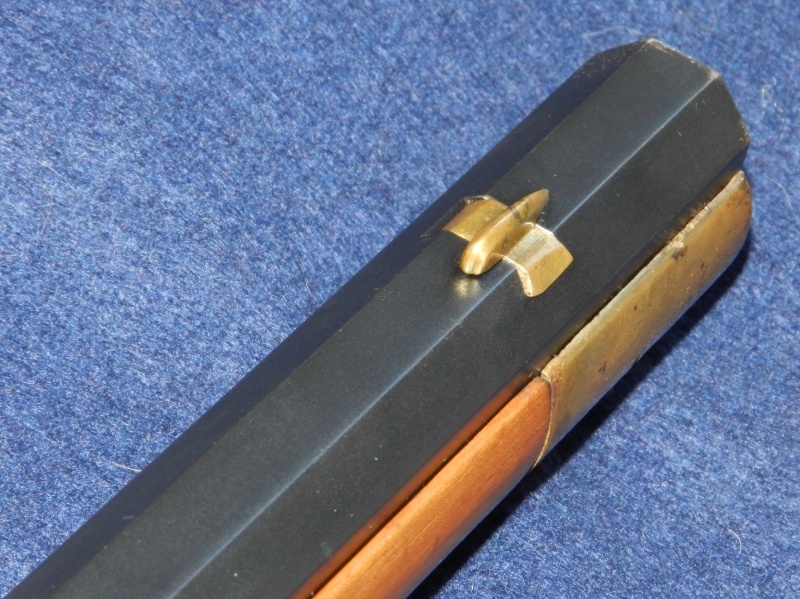 The brass fore sight is adjustable for windage. 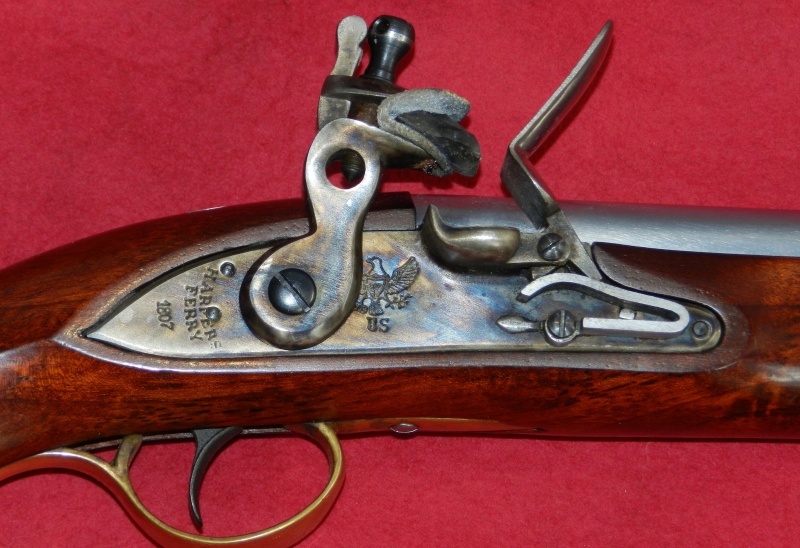 The wooden reloading rid appears to be the original one supplied. The new version of this rifle from Pedersoli is over £600. 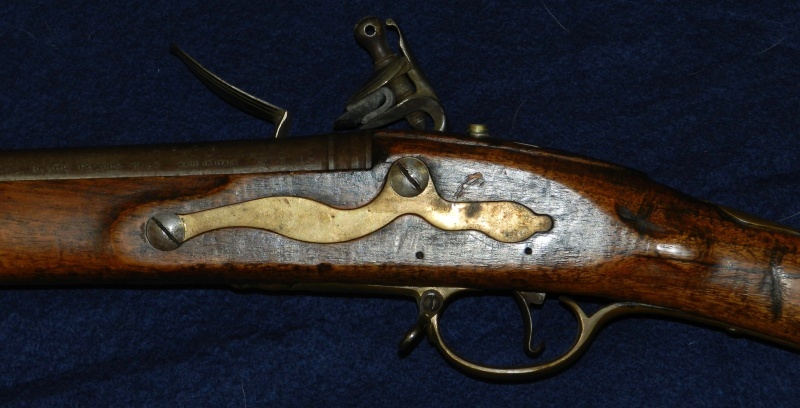 A Kentucky Flintlock pistol in .45" calibre. This example is Spanish made and is in good condition. The 9 3/4" barrel is octagonal and both the front and rear sights are adjustable for windage. The rifled bore is clean and sharp. The lock has all the factory case hardened finish and it all works as it should. The frizzen sparks well and there is nothing to suggest the pistol has seen much use. Although termed "Kentucky" pistols, they were made all over the North America - in fact the most productive state was Pennsylvania and this because it was were the greater number of German and Dutch immigrants settled. 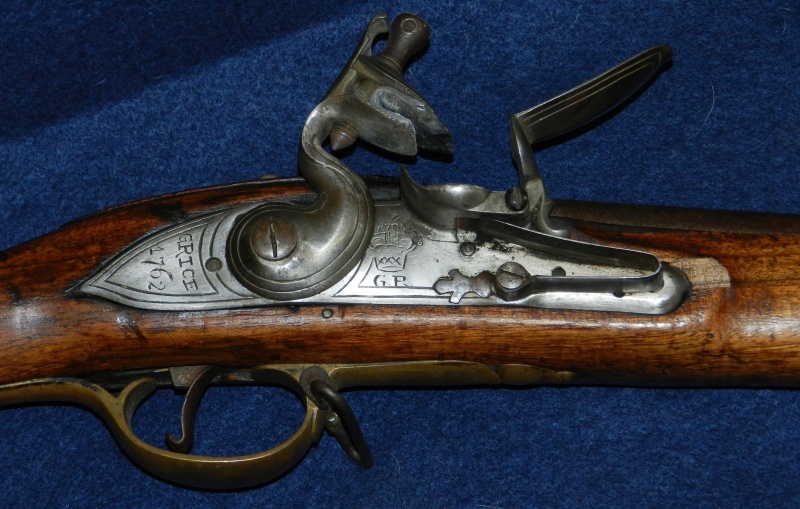 Pedersoli Harpers Ferry Flintlock Pistol .58"
A Pedersoli recreation of the flintlock pistol produced at Harpers Ferry in the early 1800s. This design was made, but not exclusively, for the US navy. It .58" calibre and gives a good spark and shoots reliably - as a Pedersoli should. It is in very good condition and a new one costing £375 would be indistinguishable from this one after a few shots. Harpers Ferry Armoury was torched by retreating Union troops in the American Civil War. Many towns folk apparently fought the blaze. The advancing Confederates removed most of the machinery to an area further from the front line and then destroyed what was left of the armoury. 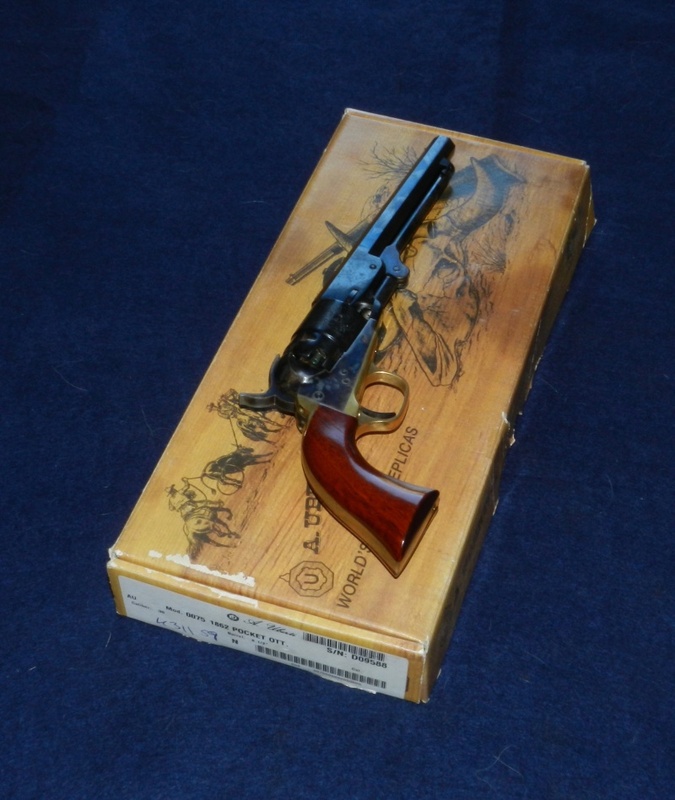 Uberti Colt 1861 Navy .36"
Uberti Colt 1861 Navy .36". 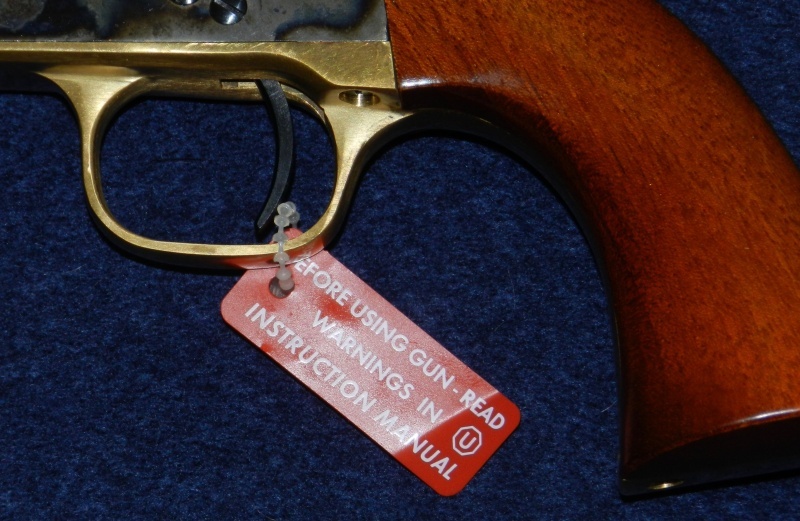 This model has the brass back strap and trigger guard. It is in exceptional condition and there is no indication of it having ever been fired. 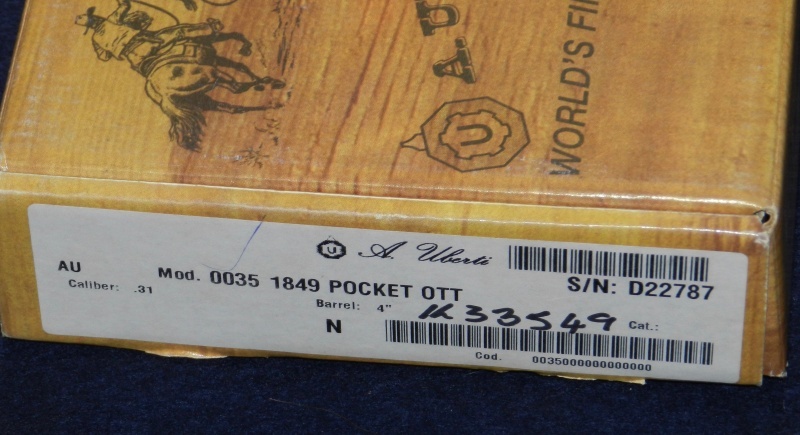 It comes in the factory box, which is also in exceptional condition. 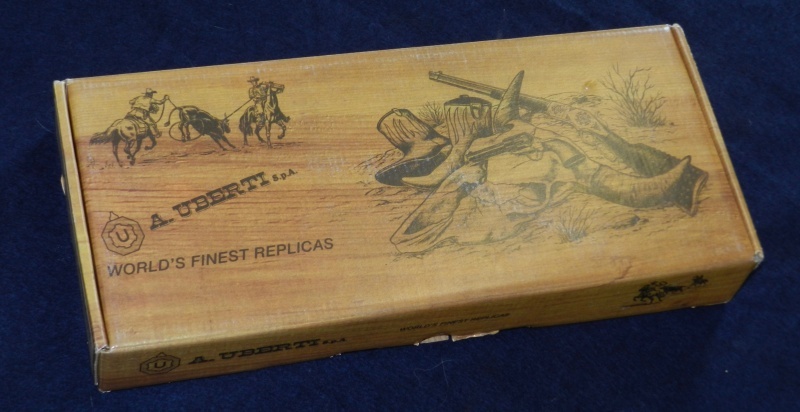 The box contains the Uberti literature and owners instructions. The new price is £285. 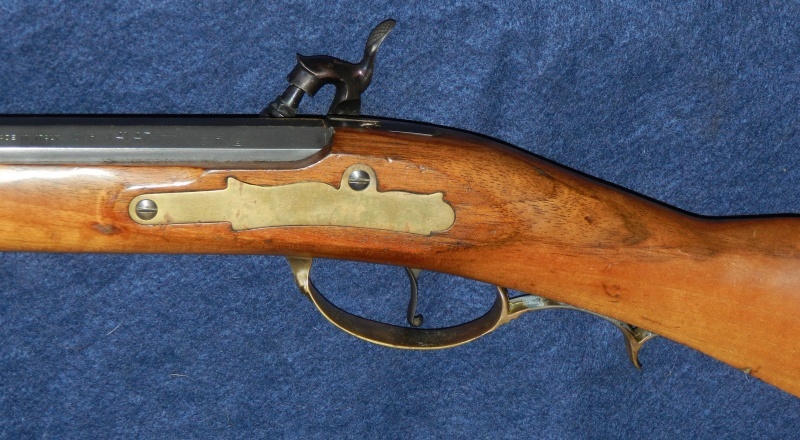 A reproduction of the Remington Model 1863 Zouave .58" Rife in the shorter Musketoon or Carbine length. The term Zouave is an interesting one, particularly when applied to an American designed rifle. The French used the seasoned fighters from the Zwana tribes in Algeria and formed them into light infantry regiments with French Officers. These regiments were known as Zouaves. The name was given to light infantry units on both sides in the American Civil War. 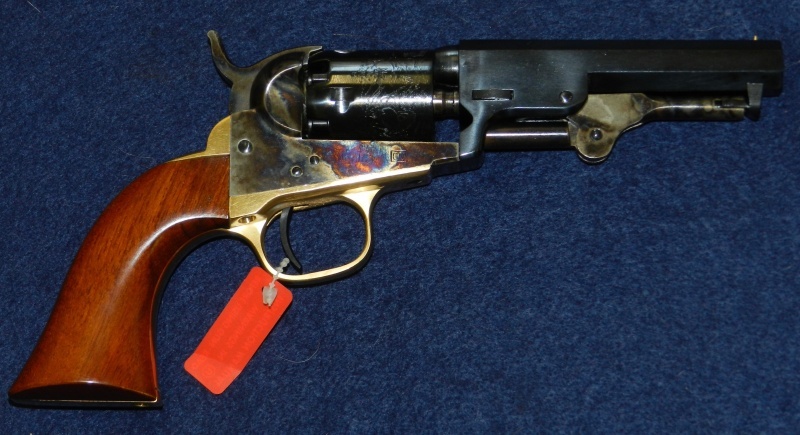 The Remington Model 1863 was famously accurate, and was made in considerable quantity during the American Civil War but was for some reason, little used. 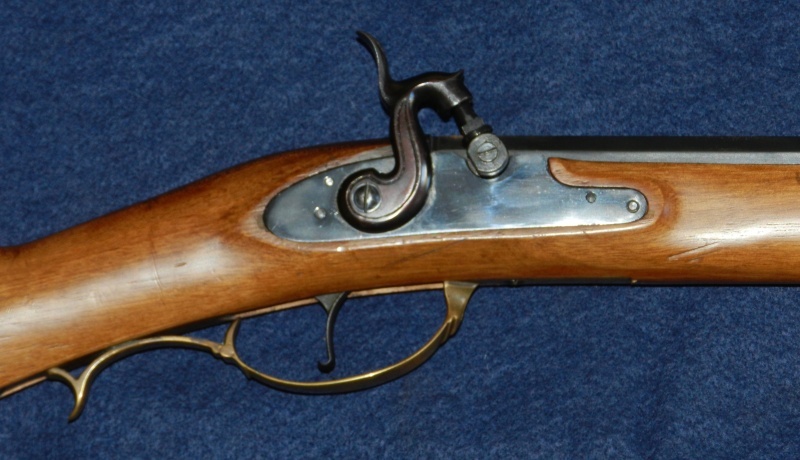 This reproduction has the shorter 26" barrel, as opposed to the full length rifle which had a 33" barrel. It is in a very good condition, with an excellent bore. The rear sight has been removed and replaced with a BSA aperture sight, which gives a better chance of utilising the famed accuracy of these rifles. 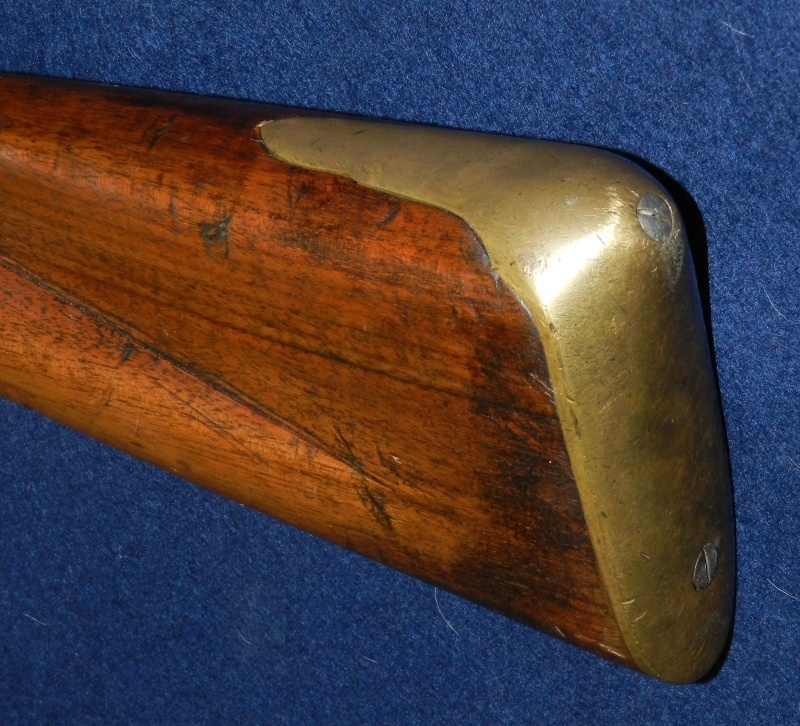 The barrel is retained by a barrel wedge and the brass escutcheon on the left side of the stock is missing. This does not affect the working of the rifle in any way. 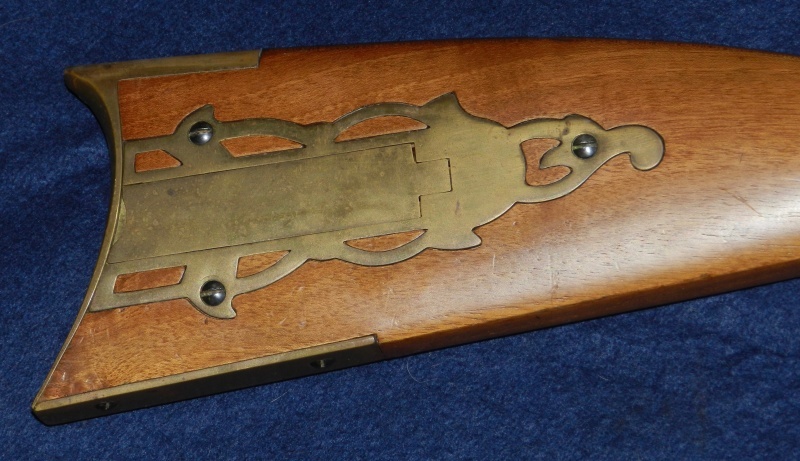 The stock has a brass patch box and the original metal loading rod is present. The wood work is in very good condition.